Popular hot tub colors in 2013 include silver marble, slate blue and some of the new colors like storm clouds and Tuscan sun. Is there a pink hot tub in the cards? Spa colors in the early days used to be all marble and smooth finishes. Then Quarite came along and offered a more textured, slightly rougher surface in contrast to the smooth and sometimes even slippery marble like colors. 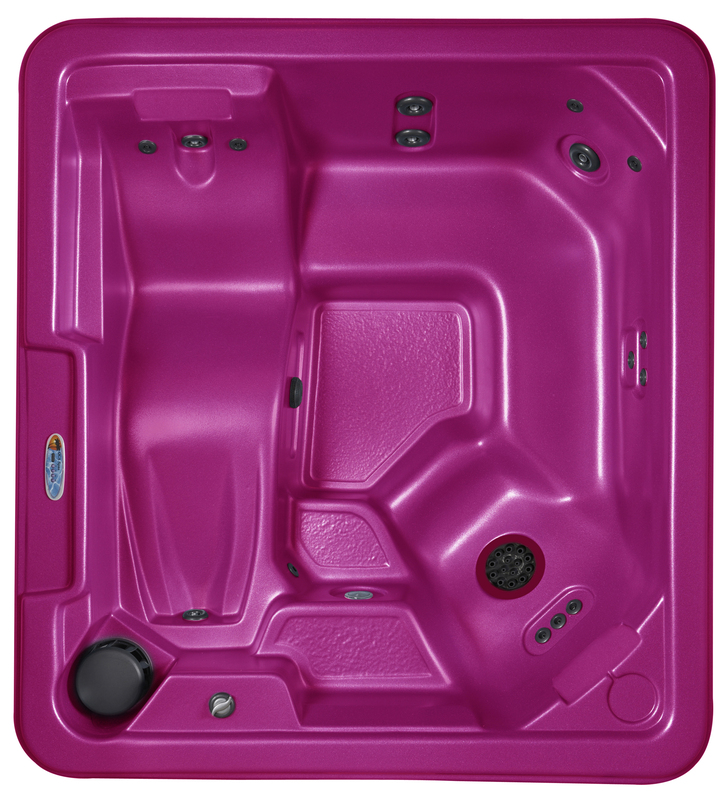 Trends in the 1990s were toward the newer Quarite type colors offered by hot tub acrylic manufacturers such as Lucite and Aristech Acrylics. Then in the mid-2000s it seems the trend is favoring the marble colors again with silver marble being the top seller again. See some spa color samples such as the new Tuscan Sun, Storm Clouds and even Malibu Surf blue that is an alternative to the older styles of summer sapphire, teal, navy and the various renditions of ocean wave blue. Now a pink spa is what will really bring the house down. The line is already growing longer for this new hot pink shell sample. Drop us an email if you like this color or comment below. On the other hand, most of it is underwater anyways…..
How about a matching pink hard cover and some pink walk-in steps? Other popular hot tub colors include sahara/sierra (quarite type) as well as Tahoe (blue quarite), Caribbean blue and the Lucite slate blue color sometimes called blue denim. 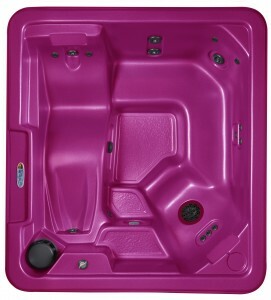 Let us know what your favorite hot tub color is.